These days luxury vinyl plank flooring has become a really popular option among homeowners. Vinyl plank flooring was designed to resemble hardwood flooring, but it comes in long strips and is more water resistant. This flooring also comes in a variety of styles, often you’ll see it mimicking a specific type of wood like oak among many others. With vinyl plank flooring you can get the look of hardwood without dealing with the stressful maintenance and installation. We’ve put together a list of the pros and cons of luxury vinyl plank flooring so you can decide if this flooring is a good fit for your home. 100% Moisture Resistant: If you’re looking for a flooring for your kitchen or bathroom, then vinyl plank flooring is one of the best options. It is moisture resistant which means that it cannot be penetrated by water. This makes it perfect for high moisture spaces. You won’t have to worry about water damage. 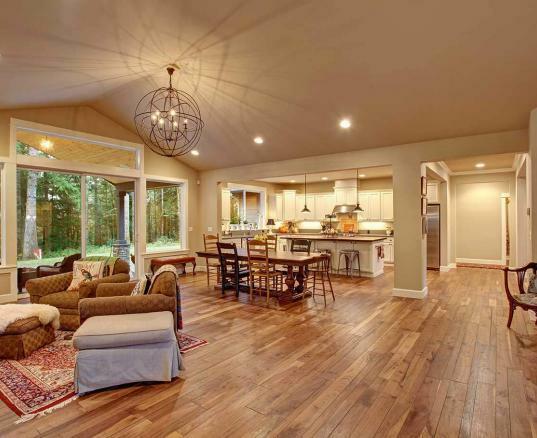 Low Maintenance: Solid hardwood flooring takes a lot of maintenance to keep it looking good. Vinyl plank flooring doesn’t require as much maintenance as other flooring options. You do still have to sweep and damp mop the floor, but definitely not as often as you would for hardwood flooring. Save Money: You can save money when you choose vinyl plank flooring. On the low end of the spectrum, you can spend as little as 50 cents per square foot. If you shop around you can definitely find a good deal. The installation is possible without hiring a contractor which can also save you money when you install your flooring. Long Lasting: When you’re choosing the flooring for your home, you’ll want to pick something that is long lasting. When looking at the pros and cons of luxury vinyl plank flooring you’ll notice that this flooring is extremely durable. The vinyl sheets are fiberglass reinforced making it resistant to damage. However, if any of the planks get damaged for any reason, then it can be removed and replaced. Difficult to Remove: Vinyl plank flooring is known to be difficult to remove. If for any reason you decide to replace the flooring with a different option, then it can be hard to remove the flooring. We recommend that you don’t use glue in the installation process if you are only using the flooring as a temporary option. Not the Same as Solid Hardwood: Luxury vinyl plank flooring has the look of real hardwood, but not necessarily the same feel. Hardwood purists will be able to tell the difference between vinyl plank and solid hardwood. Most homeowners are fine with this, but if you are completely sold on getting solid hardwood floors you might be disappointed with this option. When looking at the pros and cons of luxury vinyl plank flooring you can see that the pros definitely outweigh the cons. If you’re looking for an affordable flooring for a high moisture space in your home, then we would choose vinyl plank flooring. It’s up to you to decide what works best for your home. 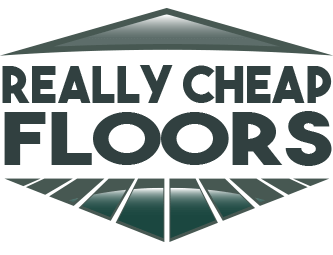 At ReallyCheapFloors.com, we offer a variety of affordable floor options. Browse our luxury vinyl plank flooring to get a feel for what you want to install in your home.